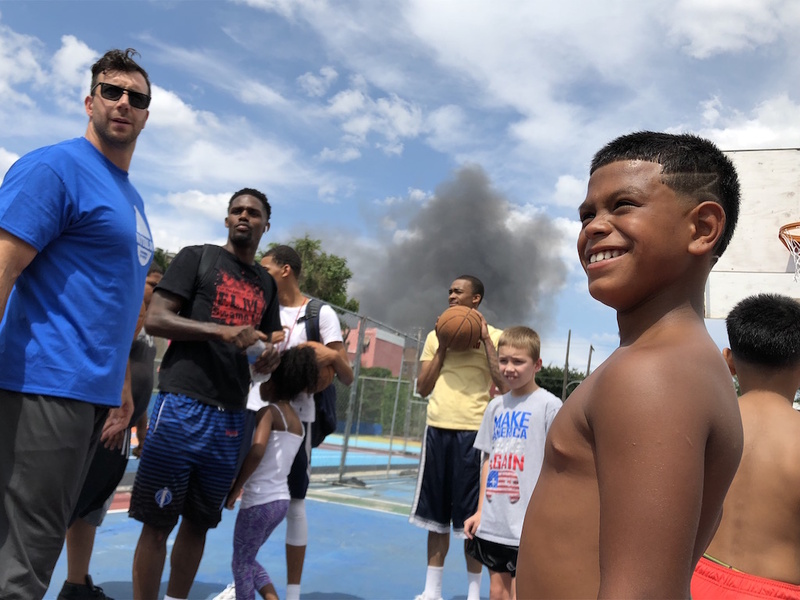 A renovated basketball court keeps sweat running at Kensington’s Waterloo Playground – Jesenia De Moya C.
Kids of all ages, divided in two teams, were coached by former NBA 76ers player Elton Brand and former NFL Eagles player Connor Barwin, in a friendly match that ended early afternoon, on August 25. It was a community gathering, with food, music and school supply give aways, that had been organized and hosted by neighborhood residents. 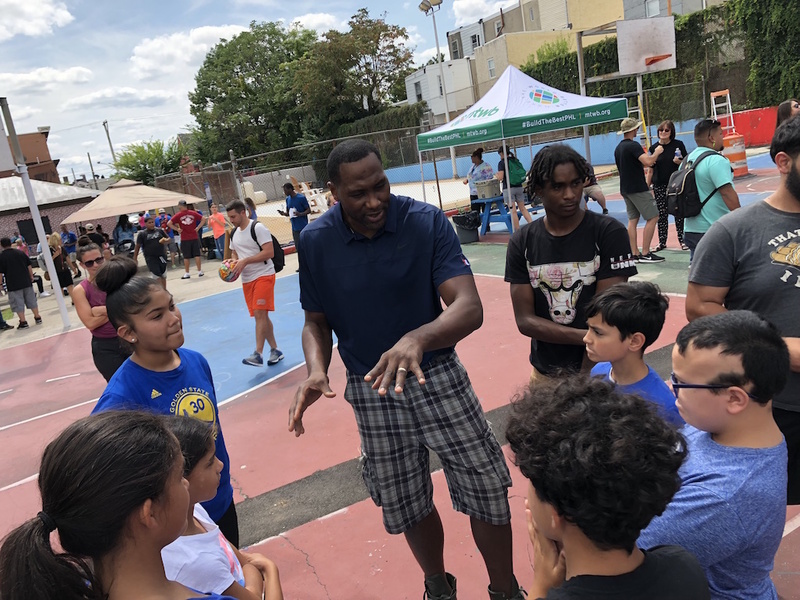 The community is predominantly Latino and African American, and has been working for three years in recovering of the playground from the substance abuse crisis that affects the city of Philadelphia and the entire country. The game marks the end of construction phase one for the playground and, according to organizers- will be followed by a new community garden. Make The World Better foundation and the Office of Councilwoman María Quiñones-Sánchez have been supporting the community’s work. 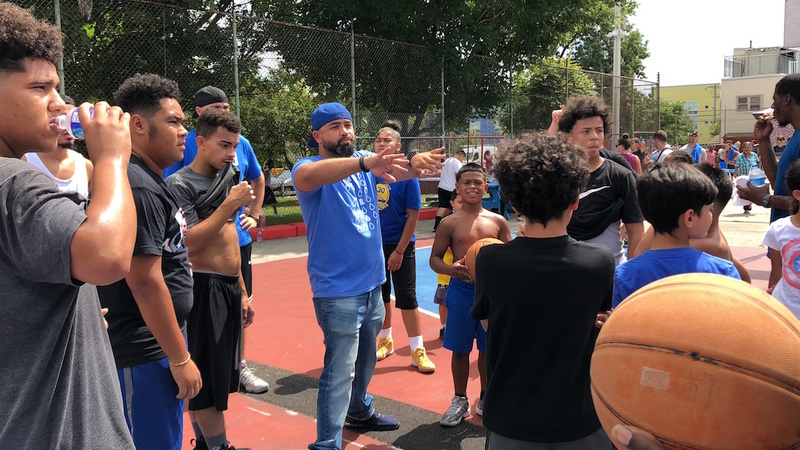 Edwin Desamour, community leader, divides neighborhood youth into teams for the game. Elton Brand motivates his team before the game. Connor Barwin, founder of Make The World Better, stands by his team before the game.